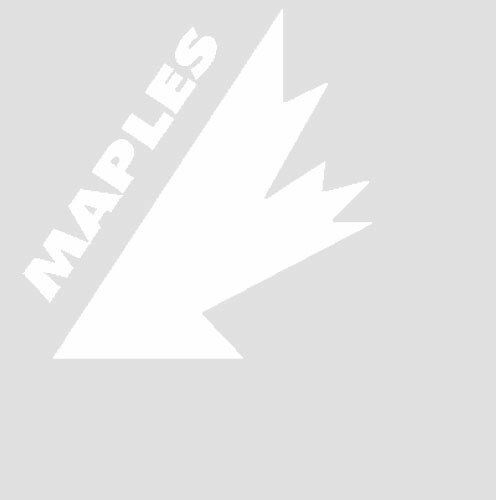 Maples offers programs for boys and girls aged 6 and up with the season lasting from October to March. Please check the registration page in mid-August of each year for the latest information regarding dates, times and locations as to where to register - click HERE for the registration page. Hockey does not register at Maples so make sure to check the registration page for where registrations take place. 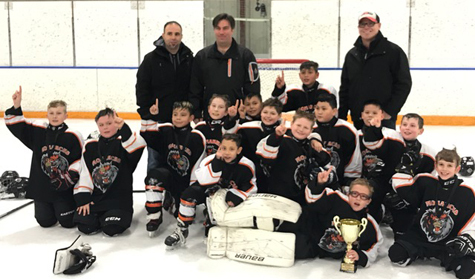 Maples Hockey is organized and governed by the Winnipeg Minor Hockey Association (WMHA) supported by the 7 Oaks Minor Hockey Association (SOMHA) and Winnipeg East League Hockey (WELH). Please refer to the WMHA, SOMHA and WELH websites linked at right for current news, schedules and arena locations. Contact our Hockey Sports Director Steve Chaytor at mapleshockey@outlook.com. Maples adheres to the Respect in Sport philosophy and we encourage all athletes to exercise good sportsmanship and fair play. Good luck to our players and coaches for the upcoming season! Hockey online registration is now open. You can start the process by going to www.somha.ca. In addition to this there is two in person registration dates both at Red River CC. August 23rd from 6:30pm to 8:00pm and August 28th from 6:30pm to 8:00pm. The Maples Monarchs boys 9A2 hockey team ended their outstanding season by winning the 2016/17 City Champs title. After taking top prize at the Christmas Challenge tournament back in December the team ended their season at the top of their division. Throughout the year the team also put in excellent performances during their entire season of league play and the City Champs title was a fitting end to their great effort. Congradulations goes out to the players and coaches for their amazing performance this year - and to the parents for their amazing support. A special shout-out also goes to Kristen and Steve Chaytor, our Maples hockey convenors, for their hard work and great effort to make the Monarchs hockey program one of the best in the city. Great work everyone - you make us proud! Congratulations goes out to our Maples Monarchs boys 9a2 players and coaches for taking the first place gold medal at this year’s Christmas Challenge 9a2 Tournament. What a terrific way to end off the season and the players, coaches and parents have even more to celebrate this New Year! Our Monarchs hockey program continues to turn out great teams which consistently rank well in city competitive club leagues. We thank all our coaches and volunteers for their great effort and in our eyes they also score a gold medal for their tremendous dedication to their kids and teams. Way to go everyone – we’re very proud of you all! 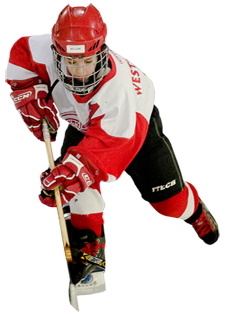 Maples hockey registration at Red River CC (293 Murray Avenue) for two evenings. All PLAYERS must be registered online prior to attending the CC for registration. Must bring in registration sheet. One PARENT in each household must complete the Respect in Sport-Parent prior to registration. This is separate from the Coaches/Manager respect in sport so they will still need to take it. You must have your Parent Respect In Sport number at the time of Registration. 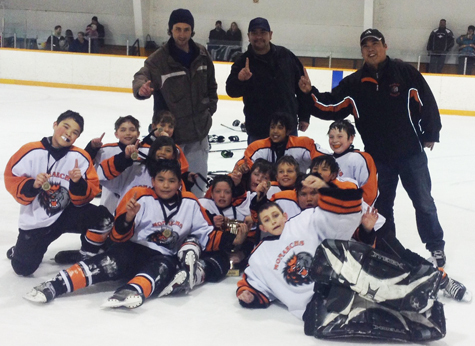 The Maples Monarchs boys 9A2 hockey team placed first over all in the round robin and won gold over the weekend in the South Winnipeg Spring classic. Canadian Professional Goalie School is presenting a goalie clinic at the Maples Arena on December 27 & 28, 2012, from 8:00AM - 12:00PM. For more information go to PGS's website by CLICKING HERE. 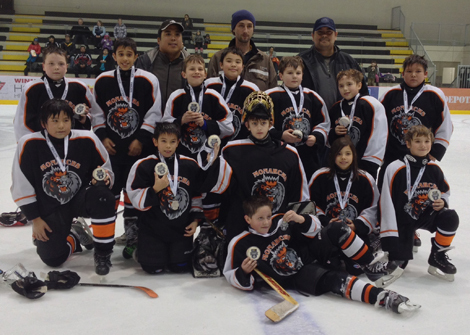 The Maples Monarchs 13A1 hockey team walked away with the Gold medal at this year's Christmas Challenge. The players put in a great effort and displayed superb teamwork. 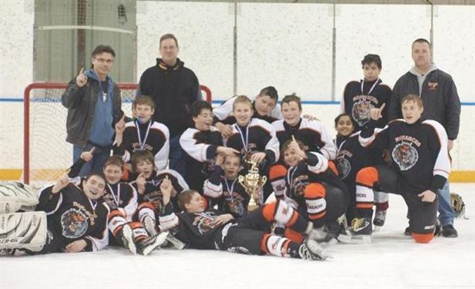 Despite having two injuries during the tournament the team adjusted and stuck to the game plan of being first to loose pucks, finishing every check and continuously pressuring the opposition. Congratulations also goes out to the coaches and convenor for their hard work, dedication and their consistent efforts which have resulted in top notch teams being fielded by our Maples hockey program. We're proud of all of you! Proudly displaying battlescars from a hard-fought victory at the Christmas Challenge 2011. 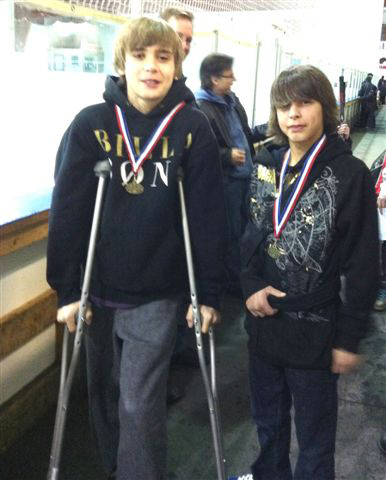 Young NHL stars in the making! Seven Oaks Minor Hockey Assoc.